VisualRIP+ is the comprehensive workflow solution for large-format print and print-to-cut production including multiple devices. 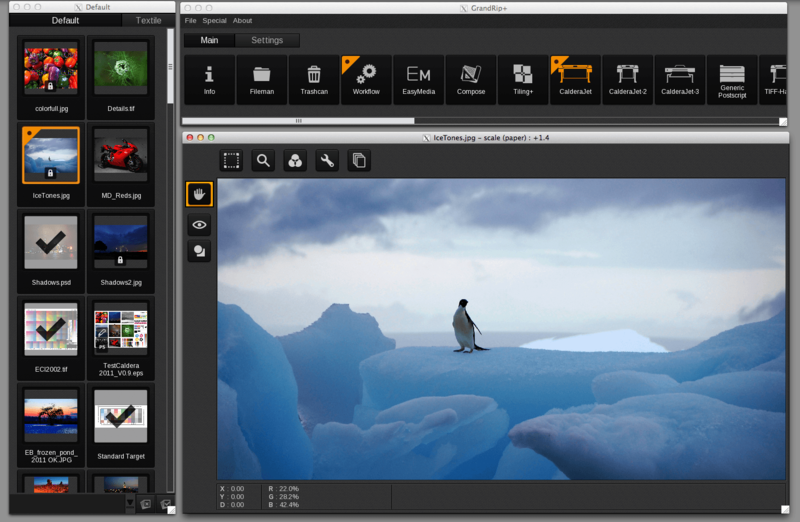 VisualRIP+ is the comprehensive workflow solution for large-format print and print-to-cut production for use with multiple devices. Integrated features including Tiling+ and Nest-O-Matik help you to make the best use of your media, and sophisticated Step & Repeat allows you to RIP an image once for multiple print jobs. Hotfolders and drag-and-drop functionality simplify your workflow while SuperSpooler effortlessly manages multiple printers simultaneously, allowing you to switch jobs between queues with ease. 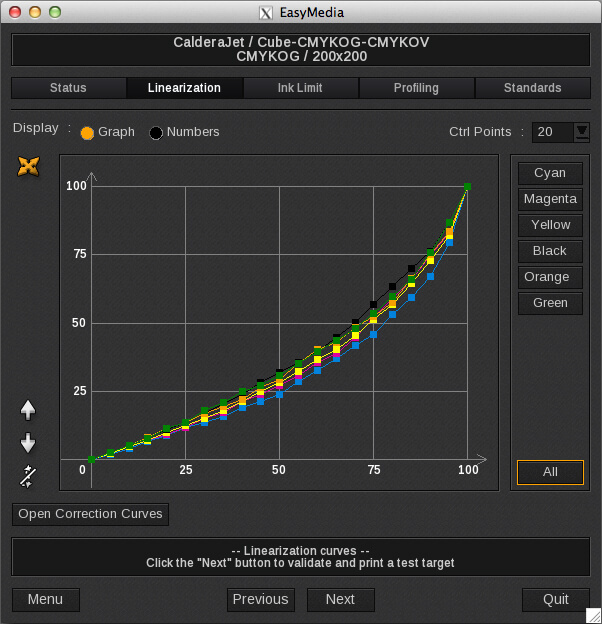 With a powerful ICC colour calibration engine and spot colour matching incorporated, plus a host of optional add-on modules to increase functionality, Caldera VisualRIP+ is the trusted RIP solution that will not only help to grow your business but will also grow with it. Contour Nesting is a new option of Caldera’s Visual and Grand ranges. 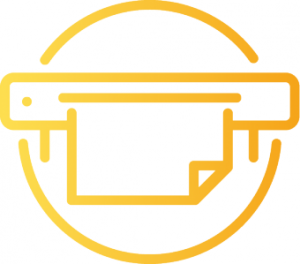 It is dedicated to cut and allows you to take into account the object’s real shape inside the image so the element can be optimally placed to save media. The purchase of a specific key is required to use this option. 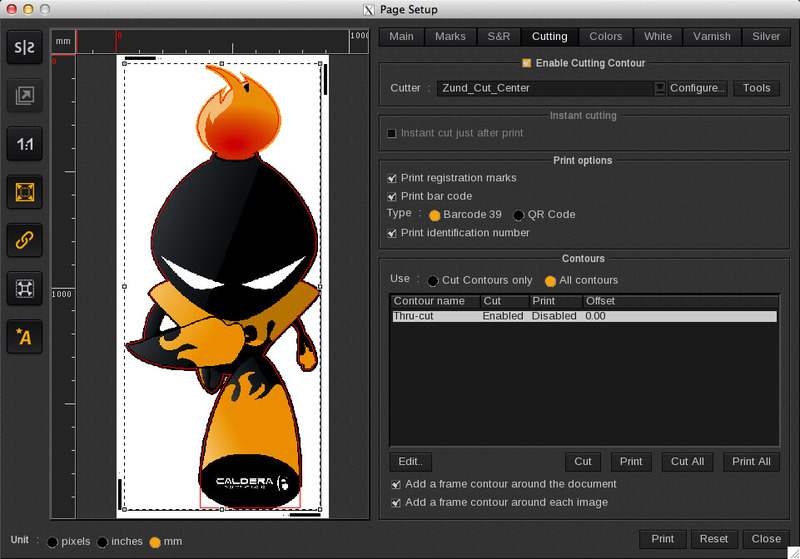 An image is always created in a rectangle, even for PNG files without background or with transparent background. 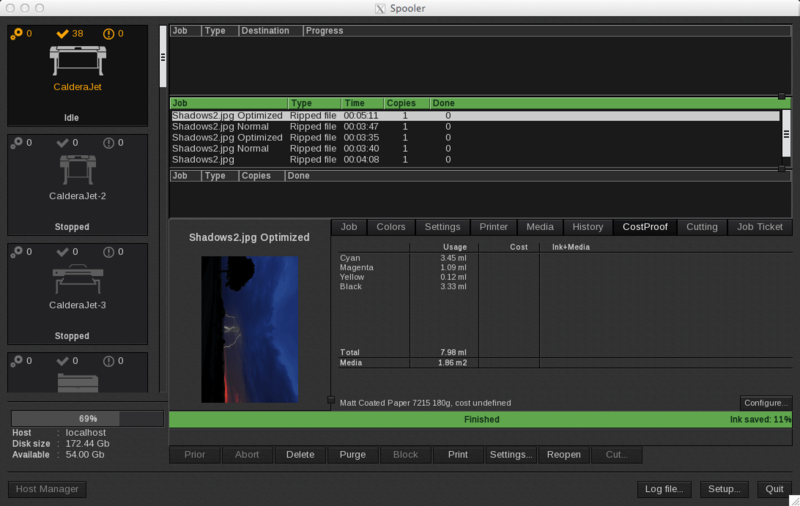 Using Contour Nesting, Caldera can now find the exterior cut contour and use it to redefine the image. This makes it possible to nest the images by taking into account their real shape and not place them as rectangular bricks. To make this nest, Caldera’s algorithm tests, for every image, its available positions including margins, and selects the best combination of images to save media. The image rotation can be +/- 90° or 180° to search the best nesting layout possible. 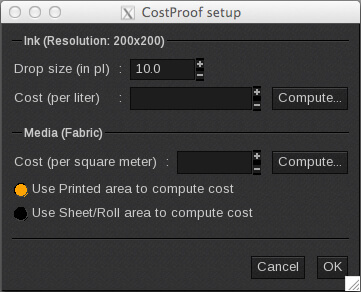 EasyMedia is a step-by-step wizard which allows you to specify the color gamut for any print configuration with a given media in no time at all. Thanks to the simple steps in EasyMedia to calibrate transition, linearization and ink use, printers can fine-tune their color processing for optimum stability and consistency across their output. 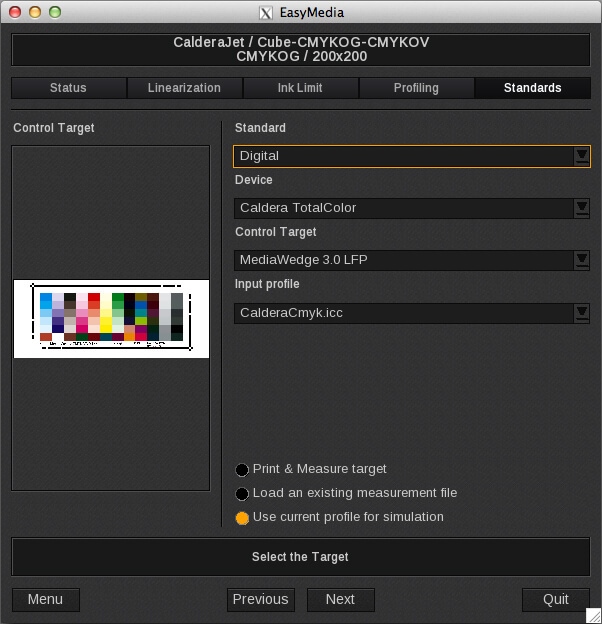 EasyMedia incorporates i1Prism V2, the state-of-the-art profile builder from X-Rite, so you can guarantee accurate, repeatable color across all your devices. With and without Contour Nesting; we note that with the option the roll size is 430mm against 580mm without. The gain is about 25% for this example. 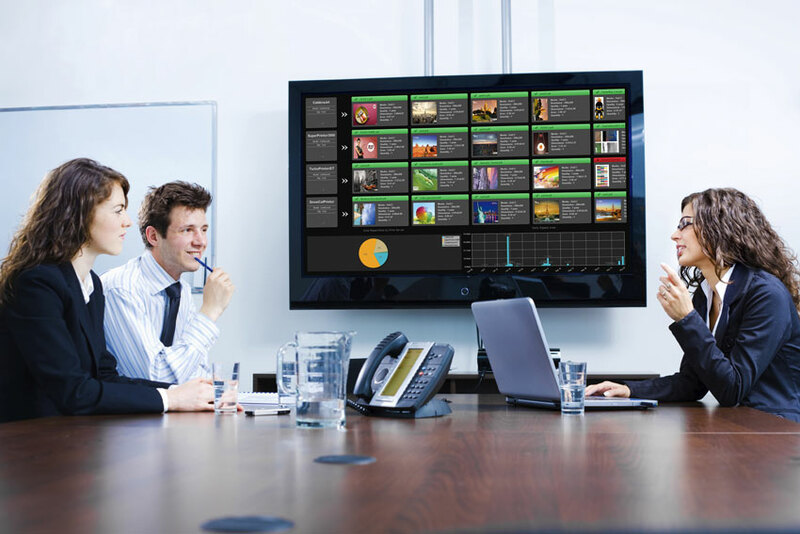 The new PrintBoard plug-in for Caldera is the first display solution of its kind to interact directly with a RIP engine. 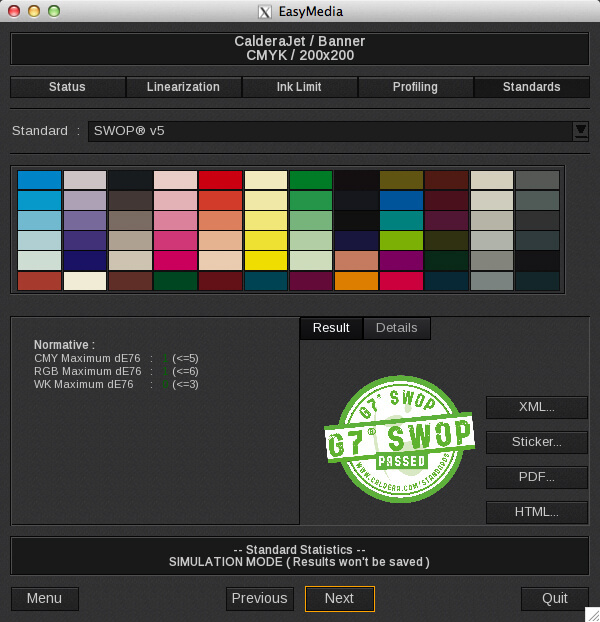 The plug-in will allow users of Caldera’s RIP software to show an overview of their production activity on screen for all employees to see, with information including which files have recently been added to the spooler, and the number of square meters processed daily by the RIP. PrintBoard displays information such as the daily square meter production rate, the rate per printing device, the percentage of production per printer and per type of printer and the number of errors per day, alongside the sequence of jobs lined up for each device. This allows for an at-a-glance overview of the workload, and makes it easy for production managers to order jobs for optimum efficiency and productivity. 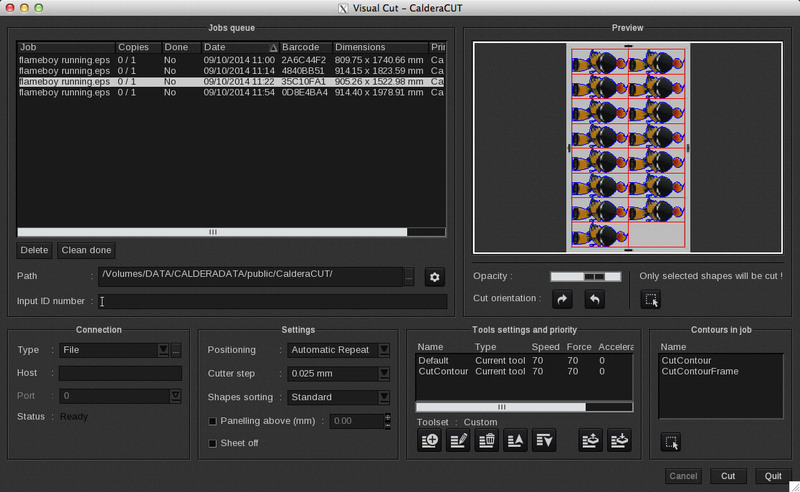 For Graphtec, Summa, Mimaki, Mutoh and Roland roll cutters, VisualCUT will automatically set up cut marks for the specific device it is driving and guide the machine along the document’s embedded contours. 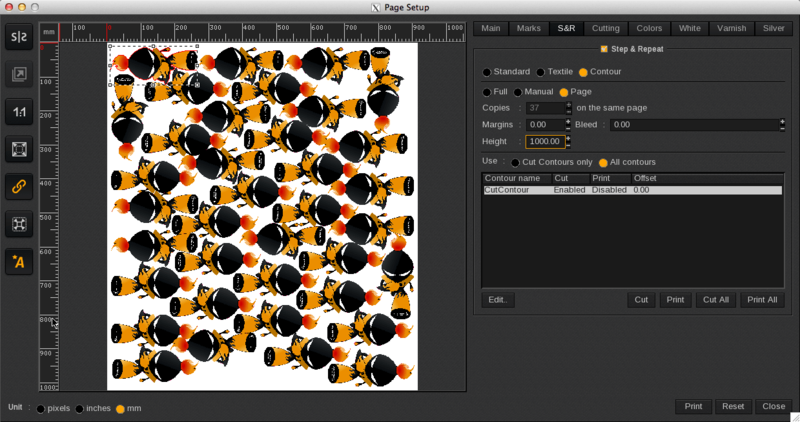 VisualCUT makes even complex cutting easy with the software’s ability to manage multiple contours in one file.